#19 — FEMALE embryos: #4 Oh-River-Syc CRUSHABULL x JK Eder DG Doorman Dance VG-87-NL 2yr. FEMALE embryos from the DARLING cow family!! Darling was SUPREME Champion Swiss Expo '17 & GRAND CHAMPION Expo Bulle '18! 4th dam is the full sister of the legendary DURHAM!! Incredible combination to make SHOW TYPE and from a great family! Dam: JK Eder DG Doorman Dance VG-87-NL 2yr. | Doorman dtr of the full sister to DH GOLD CHIP DARLING EX-95-CH - 86FR 87DS 86MS 87FL / VG-87-NL 2yr. JK Eder DG Doorman Dance VG-87-NL 2yr. Out of the full sister of the Swiss Expo Supreme Champion DARLING EX-95!!! 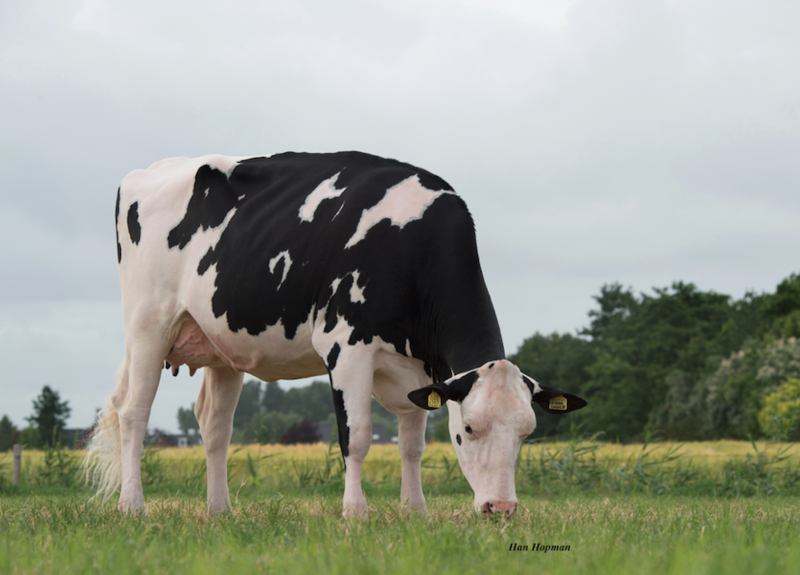 K Eder DG Doorman Dance VG-87-NL 2yr. Full sister to dam: DH Gold Chip Darling EX-95-CH EX-96-MS 4yr. JK Eder DG Gold Chip Darling 2 EX-90-NL 4yr. | Awesome from any angle!! 86FR 87DS 86MS 87FL / VG-87-NL 2yr. Lovely Doorman dtr from the incredible DARLING! Grand & Supreme Champion & Reserve Best Udder of the Swiss Expo '17!! 5th dam is the full sister to the legendary DURHAM!!! Out of the great Snow-N Denises Dellia EX-95 family!! 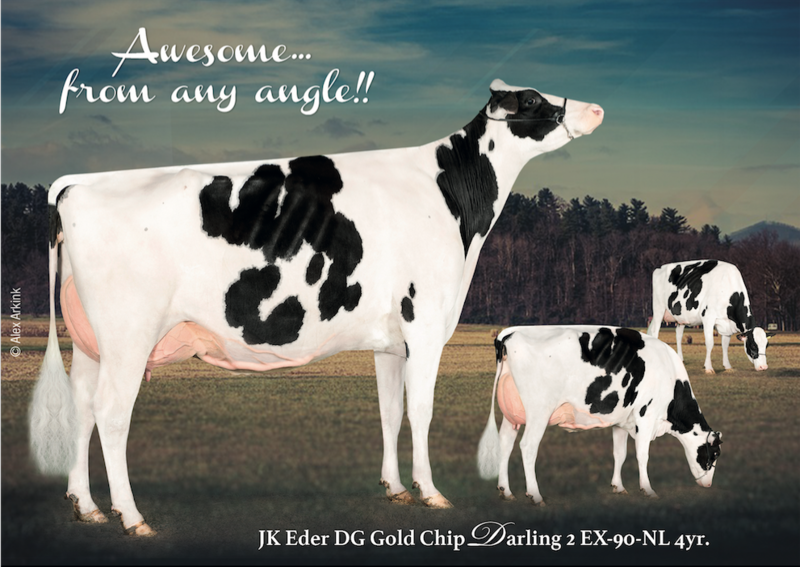 JK Eder DG Gold Chip Darling 2 EX-90-NL 4yr.